Everyday new Facebook SPAM is born. Hardly Facebook can detect and kill them immediately unless large number of users report the Link. In its lifetime, Out of 100 users who come across it only 20 people will actually ignore it. Rest 80 people will unknowingly Click through it and fuel the ClickJacking Attack. Read: What is ClickJacking Attack? 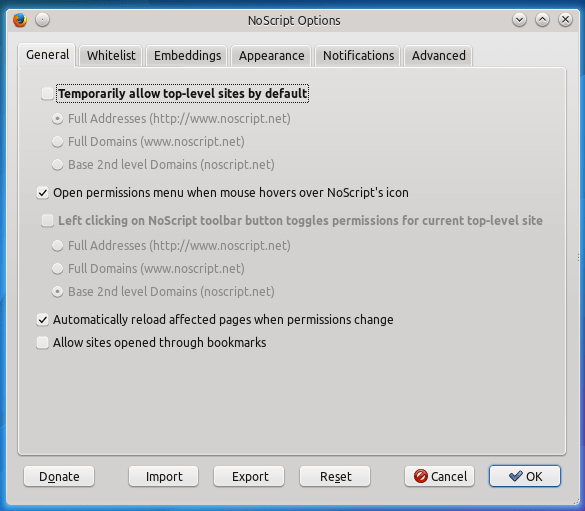 Along with ClickJacking Attacks, NoScript also protects you from XSS Attacks. XSS (Cross-Site Scripting) vulnerabilities are usually programming errors made by web developers, which allow an attacker to inject his own malicious code from a certain site into a different site. Read: Sidejacking – Hacking USER Accounts on LAN & WiFi! XSS vulnerabilities can be used, for instance, to steal your authentication credentials and to impersonate you on the victim site. But with “NoScript” installed on your Firefox Browser, you Need not worry about XSS attacks. P.S. If you are not Firefox user, Please consider switching to this brilliant Web browser.